The forthcoming East African Business Summit (EABS) due to be held in Kigali, Rwanda has been set for October 16th – 17th 2014. 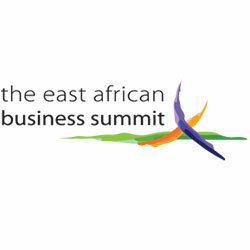 Held bi-annually, the Summit brings together the region’s top business minds from Tanzania, Kenya, Uganda, Rwanda and Burundi, to engage with thought-leaders, policy makers, practitioners and development actors with a view to find and influence the implementation of solutions that create growth of the East Africa market. Anticipated key discussion for the 2014 Summit include investment promotion in EAC, Africa’s opportunities in mineral wealth, Private Public Partnerships (PPPs), liberalizing and interconnecting East African economic and regional capacity building. Established in 2002 by CITI bank, Deloitte, KPMG, PWC, the Serena Hotels and the National Media Group, the initiative came out of the realisation that the private sectors need to actively drive the agenda for change in order to solve Eats African common problem and grown economically. In July 2014 Airtel Africa, a leading telecommunications service provider with operations in 17 countries in Africa, has signed an agreement with EABS to be a partner in the upcoming regional summit slated for October in Rwanda.